Peoples Bank is a sponsor of the Point Pleasant Battle Days pageant once again this year. The pageant is a fundraiser for the Mason County Toys for Kids Association. Pageant Director Brandy Barkey Sweeney is pictured with Valerie Johnson, branch manager, and Roxanne Weaver, personal banker. John Sang Ford Lincoln in Gallipolis, Ohio is the crown sponsor for the Point Pleasant Battle Days pageant. Brandon Sweeney, sales consultant at John Sang Ford and member of Battle Days pageant committee is pictured with John Sang, owner of John Sang Ford Lincoln. https://www.mydailyregister.com/wp-content/uploads/sites/24/2018/09/web1_0928-1-.jpgPeoples Bank is a sponsor of the Point Pleasant Battle Days pageant once again this year. The pageant is a fundraiser for the Mason County Toys for Kids Association. 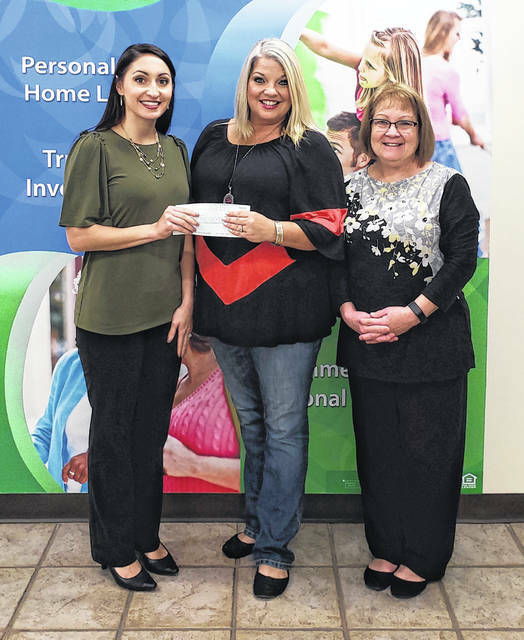 Pageant Director Brandy Barkey Sweeney is pictured with Valerie Johnson, branch manager, and Roxanne Weaver, personal banker. https://www.mydailyregister.com/wp-content/uploads/sites/24/2018/09/web1_0928-2-.jpgJohn Sang Ford Lincoln in Gallipolis, Ohio is the crown sponsor for the Point Pleasant Battle Days pageant. 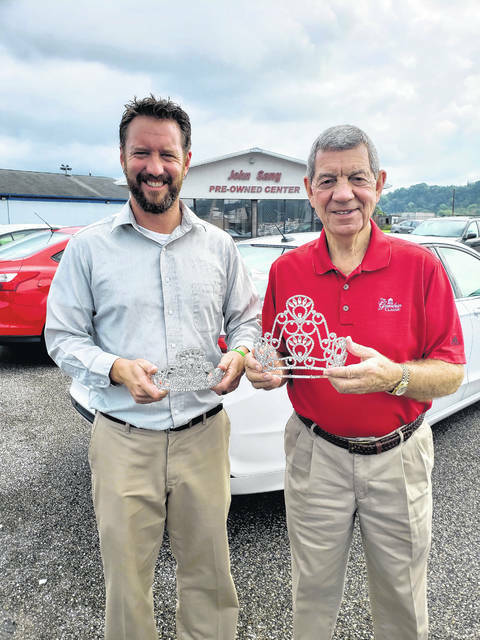 Brandon Sweeney, sales consultant at John Sang Ford and member of Battle Days pageant committee is pictured with John Sang, owner of John Sang Ford Lincoln.